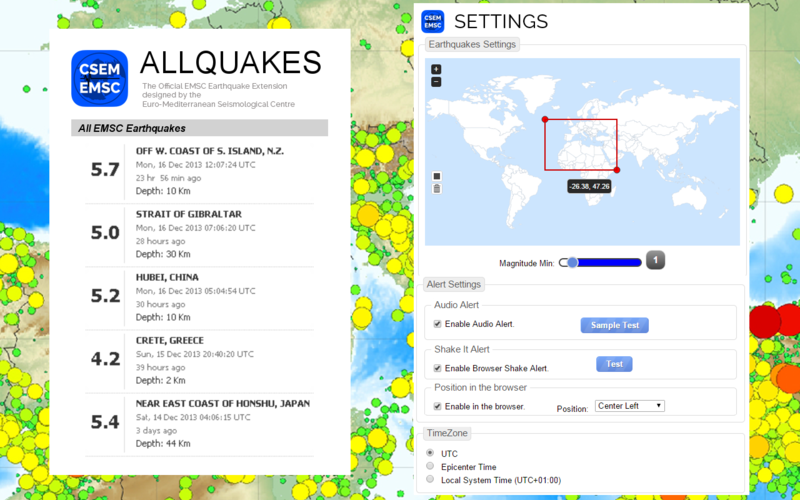 A thin thumbnail is always visible on your browser that shows the latest earthquakes. The user can set the position of the thumbnail on his browser. Adding possibility to choose the magnitude min of earthquakes. Adding possibility to the user to define an area.